When I was a kid, if I got angry, I’d get REALLY angry. My dad would say “Boy, you can’t see but five minutes in front of your face.” He was right. I’d be blinded by my anger. Well I’m really angry now but I’m an adult and I’m trying really hard to see the bigger picture … to see beyond that five minutes. The reason I’m so angry right now (and I’m sure that many people will be able to understand this) is that I feel like my daughter — MY CHILD — is being attacked. She is being harshly and unfairly judged during a time when she should be relishing her accomplishments. 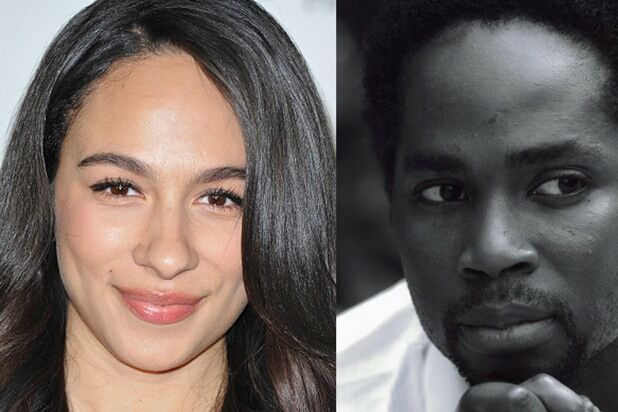 You see my daughter, Aurora Perrineau, decided to become an actor like her old man. And while I know the many pitfalls that she may encounter, my wife and I have tried to shield her as much as we can. We’ve taught her to work hard and to respect her gifts by training and making her art important to her. We’ve taught her to respect herself and others. The road of the artist is long and arduous. Nevertheless, when she was cast in the film “Jem and the Holograms,” something she worked extremely hard on, she suddenly became the target of a lot of people’s anger. Aurora is the product of a Caucasian mother and a black father and is therefore not qualified or not “black” enough to play a black character from an animated series, according to some people. Her blackness or lack thereof is so offensive to some that they’ve written articles about it. They’ve gone onto social media and spewed their vitriol directly at her. Some went so far as to suggest that she “kill herself” for taking the role. All, without ever seeing her work in the role. All this anger based solely on the color of her skin. Dr. King’s “I have a dream” speech continues to play in my head. “I have a dream that my four little children will one day grow up in a nation where they will not be judged by the color of their skin, but by the content of their character.” Guess that day still has not come. I create for a living and that’s my sword against injustice. How am I going to use that sword in this instance? Do I create more division by arguing with people that have the same problems as I do? Arguing that my daughter is “black enough?” Well … That seems silly to me. At the end of the day, “Jem” was created by someone that does not look like me. The character Shana was created by someone that does not identify like Shana would. The film “Jem and the Holograms” is brought to us mostly by people that do not look like me. Why would I consider these images as anything but entertainment? Why would I consider these images as definitions of who I am or what I represent in the world? I wouldn’t. Here is where I connect with the artist that created Jem; the hard work it takes to bring her imaginings to the small and big screen. The struggle to create something and see it through to the end. No one gets a free pass in the entertainment business. No one. Every artist has to work tirelessly to see their creation through. Also Read: Can 'Steve Jobs' Eject 'Goosebumps' From Top Box Office Slot? My hope is to reach the folks writing these articles and pointing fingers at young artists like my daughter and get them to use all of that creative fire and create characters that look, sound and feel like yourselves. We live in an incredibly creative time, where it may not be necessary to have big money and power to have your voices heard. Why not use your power there? Why not put out images you want to see for the reasons you feel are important. Positive images are important in every culture and those images are the responsibility of the people who see their importance and necessity. When I was younger, there were not a lot of people in films that looked like me — even less when I rocked the dreadlocks (save for the genius Joe Morton). I felt it was important to portray characters that showed the humanity of people that look like me. I endeavored to not buy into playing stereotypical characters that were offered to me in order to have work. I still fight this fight daily. This is what I do with every role I accept. This is what I try to create with every artist I collaborate with. I create human beings that I want to see — humans that I might want to encounter. The characters I create are not just “black” people but human beings. Sometimes I get it right and sometimes I don’t. That’s part of the long hard road for artists of all colors. But that’s what I create. I do not spread anger or division in a people who desperately need harmony. With my art I create space for growth. With this letter I hope to create space for conversation and growth. What do you create? An accomplished actor who has graced the stage, screen, and television, Harold Perrineau Jr. is renowned for his roles in the cult television series “Lost,” the “Matrix” film saga, and Baz Luhrmann’s iconic “Romeo + Juliet.” A native of Brooklyn, Perrineau studied music and theatre at the Shenandoah Conservatory, but began his career as a dancer with the Alvin Ailey Company. A gradual shift to acting led Perrineau to the theatre, where he acted in a number of shows including “Dreamgirls,” the critically acclaimed “Avenue X,” and the off-Broadway revival of “Godspell.” Over the years, Perrineau has appeared in a number of television shows including “The Cosby Show,” “The Days and Nights of Molly Dodd,” “I'll Fly Away,” “Oz,” “Law & Order,” “Sons of Anarchy,” “The Wedding Band” and “Constantine.” On the big screen recent credits include roles in Kathryn Bigelow's Academy Award-nominated “Zero Dark Thirty,” Malcolm D. Lee’s “The Best Man Holiday” and “28 Weeks Later” among several others. Perrineau currently resides in Los Angeles with his wife and three daughters.